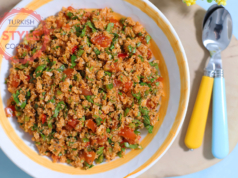 Bulgur wheat has a really high nutritonal value and is a good protein source. So it needs to be a staple of every household in my opinion. There are multiple ways of incorporating bulgur into our diet but my favorite way is to combine it with greens and veggies and turn it into a fresh and healthy salad. 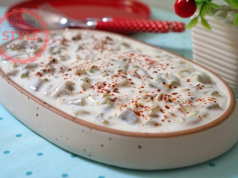 This is probably the easiest way of preparing a filling, nutritious and delicious dish. There is no cholesterol in bulgur. 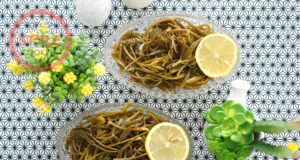 It also assists the absorption of nutrients into the bloodstream and protects our digestive system. Enough chatting, here is the recipe. 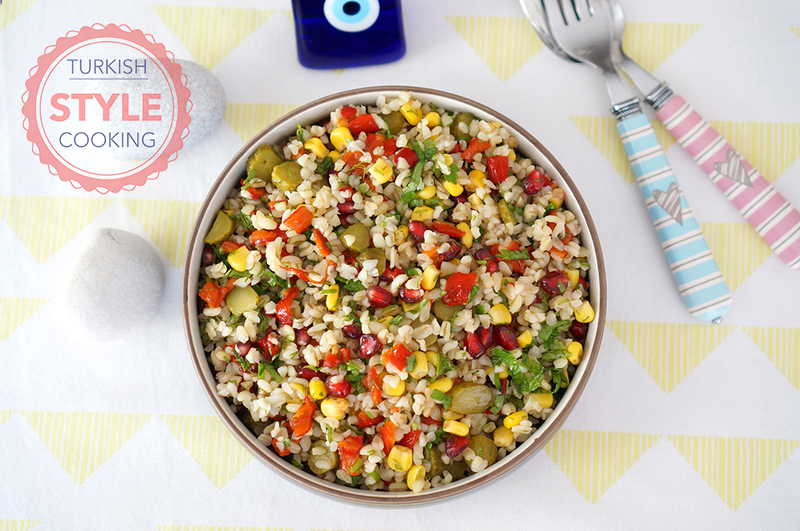 In a large bowl, combine the cooked bulgur, corn, cornichons, roasted peppers, parsley, pomegranate, raisins and walnuts.